Here's a pattern for you Small Mouth fly rod guys out there: the Firefly 2.0 from the always hyperactive Gunnar Brammer. The plastic "Magic Hat" folded forward gives the fly a wobbling motion when retrieved. 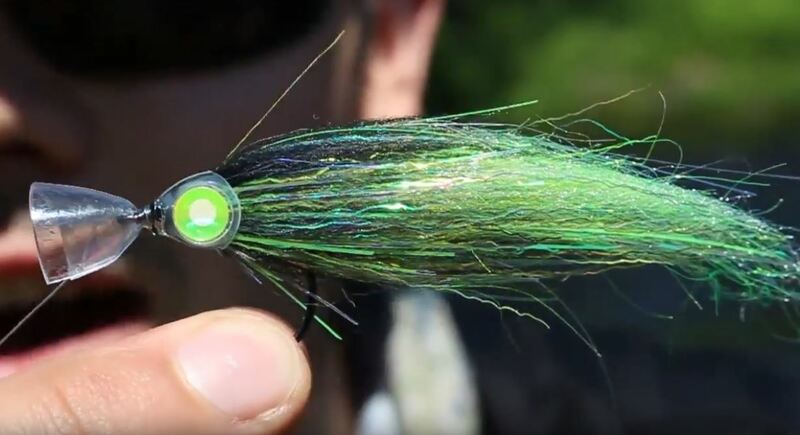 He doesn't have a fly tying video of this pattern posted yet, but you can see it in action at approximately the 6:40 mark of the video below. I'm thinking this might just be an effective fly for big Trout also. Looking forward to tying some up. 1 user thanked William Schlafer for this useful post. Thanks for sharing that video Bill. Very informative. I like his advice about fishing every cast, keep your line in the water, and then fish to your feet. Makes a lot of sense for trout fishing too, especially if throwing a streamer. Makes a lot of mathematical sense to me -- the more time your fly is in the water, the better the chance you will have to connect with a fish. Catch fish, have a good time, protect the resource. Some of us rarely false cast.. Unless U R drying off a fly..
Want to learn advanced techniques? Book a guide trip with a guide who guides the guides. Who would be a good guide for smallies in the Driftless area, even the Wisconsin River? I know Landwehr and crew specialize in SMB, but do they get this far south? My son and I were wanting to do one outing for smallies. The Lower Wisconsin is great and a really unique fishery. I've gone with Kyle Zempel and Black Earth Angling, Co. He's great as is my friend Ben who guides for BEAC. The Lower, being largely sand is different from pretty much any other large smallie river in the state. The "crash" is something to experience. They know the Lower like nobody else. I'm sure there are probably people that do walk and wade trips from smallies in the Driftless but I'm not familiar with them. But a guide with a boat is a really cool way to got at t them.